The only demand the client made was that the rear shouldn´t be recognizeable. It couldn´t look like any other rear of any any car in the market. The starting point was a Volkswagen Gol and changed a LOT of things. That´s is the result. 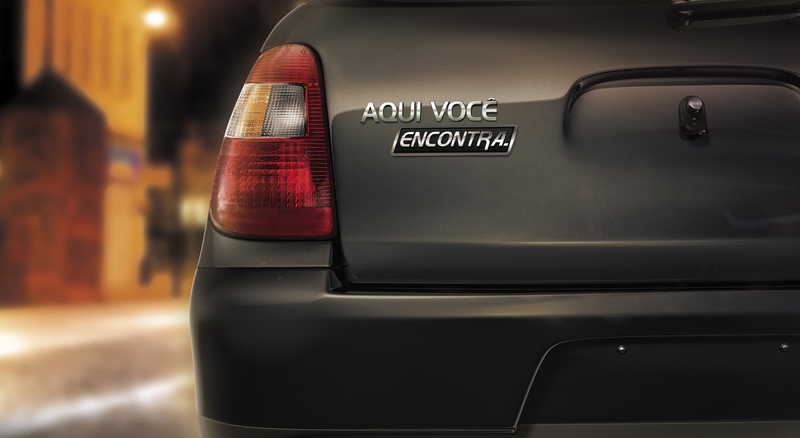 Credits for Marcelo Souza who modeled the car in 3D and Thiago for the rear light photo manipulation.